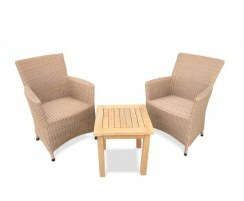 These coffee table and chairs sets are perfect for enjoying that first cuppa in the morning sunshine and chats with friends over tea and coffee. 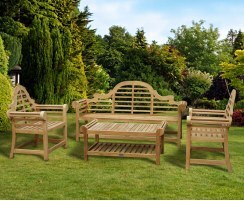 Our garden coffee table sets are crafted from sustainable, hardwearing grade-A teak or durable Rehau synthetic rattan so they're low maintenance and built to last. 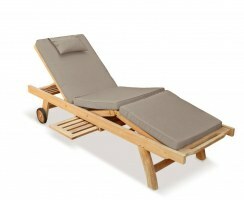 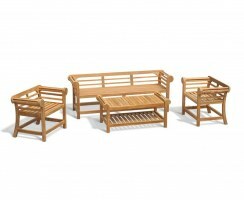 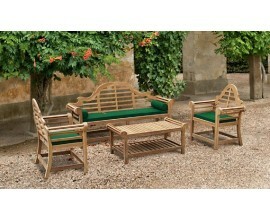 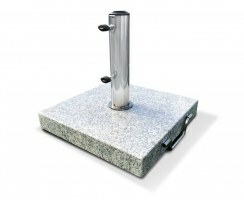 These outdoor coffee table sets are a stunning addition to patios, gardens, conservatories, etc. 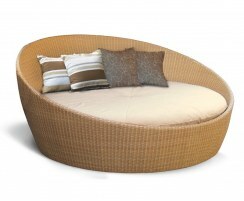 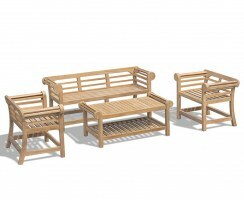 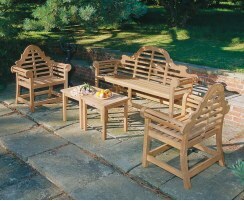 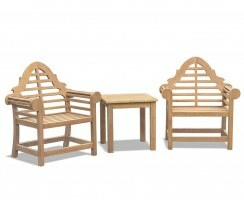 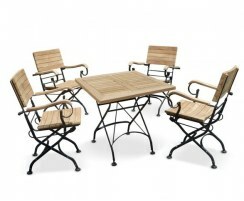 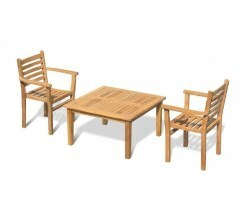 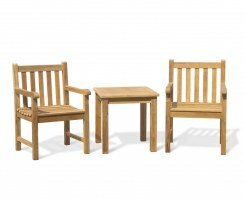 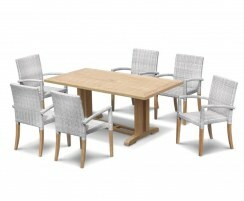 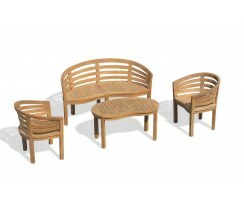 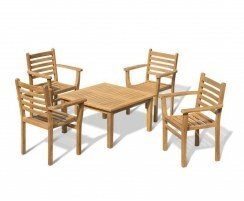 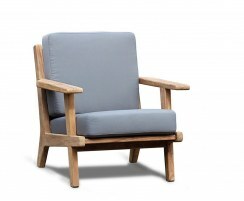 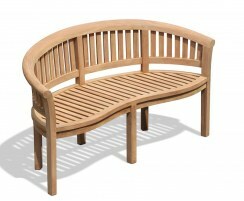 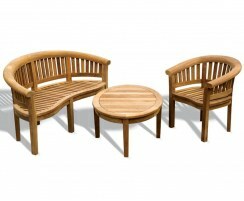 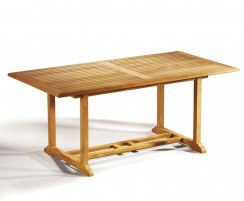 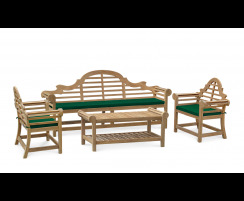 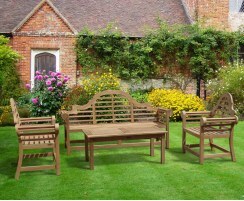 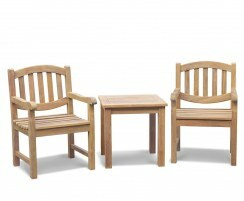 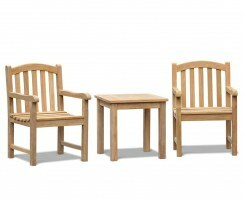 Our coffee table and chairs sets are a superb focal point for outdoor settings such as patios, balconies and gardens. 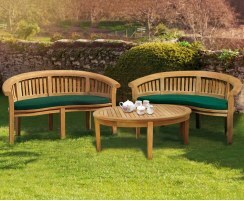 Read your favourite book, lounge about in the sun or enjoy fresh cups of tea in comfort and style with our quality garden coffee table sets. 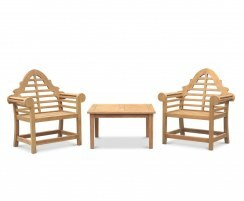 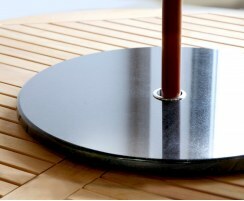 These coffee table and seats are sure to be the envy of your guests. 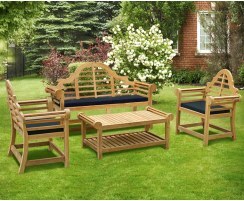 Browse our outdoor coffee table sets and order today.